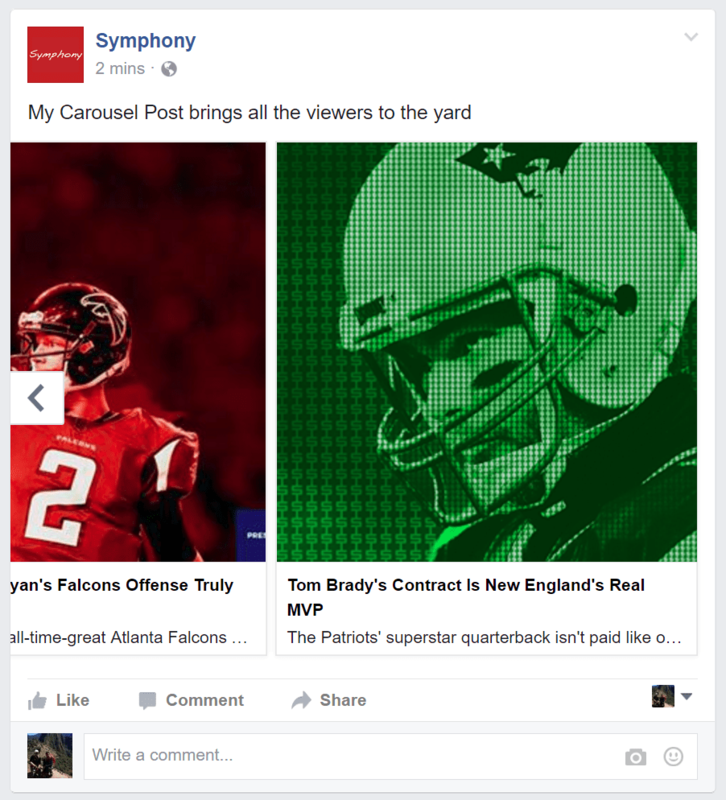 The Symphony team is excited to officially announce our Facebook Carousel post feature! Carousel posts are a great way to grab a user’s attention, optimize screen space, and maximize the information a user sees at first glance. Even if the user does not scroll through all the images, they get a glance of multiple things. 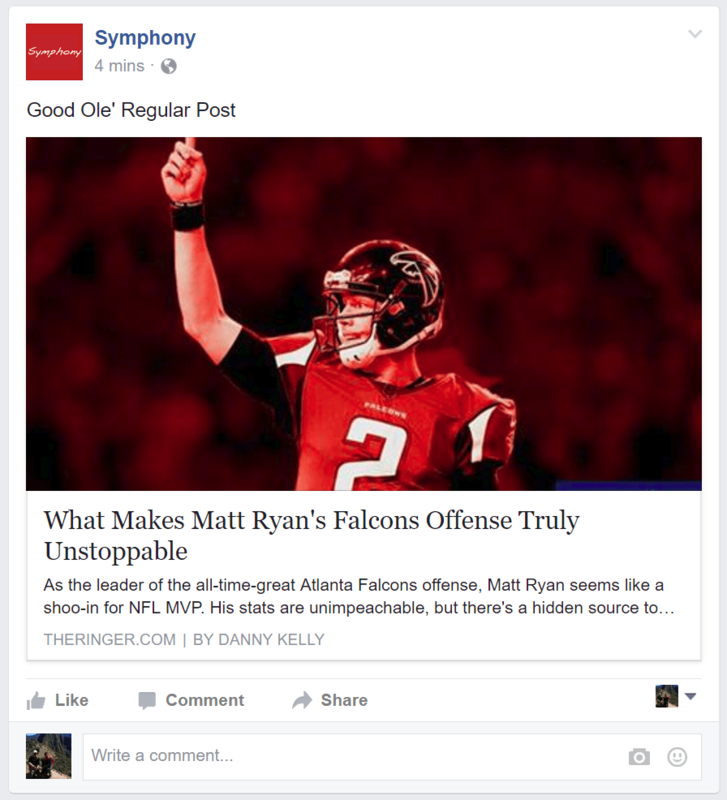 In addition to increased info, because publishers are not taking full advantage of this feature, Carousel posts tend to stand out. 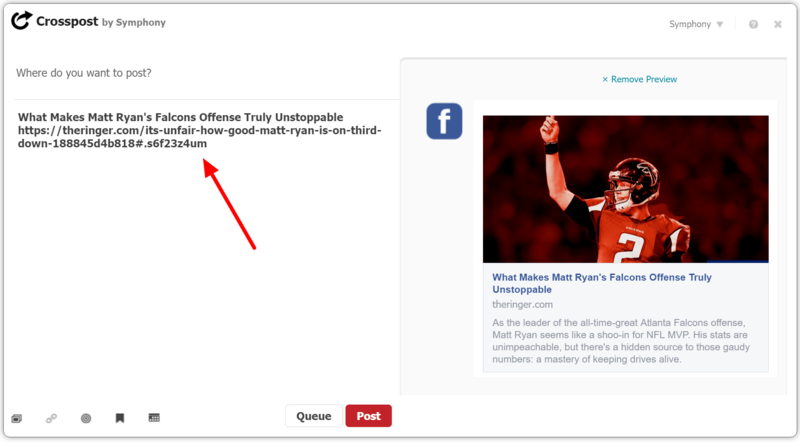 It’s no wonder why viewers engage with Carousel posts more. BAZINGA! 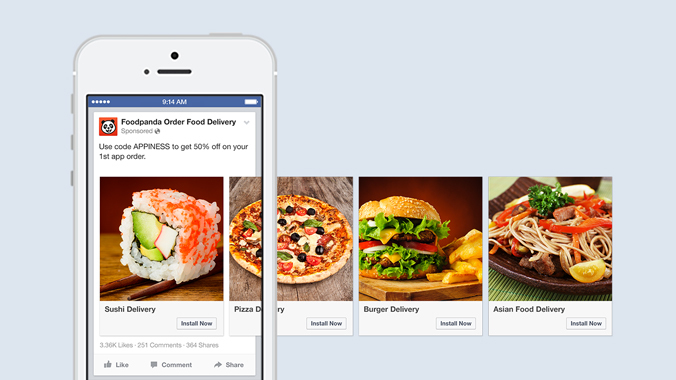 That is how you create a Facebook Carousel Post with different links. 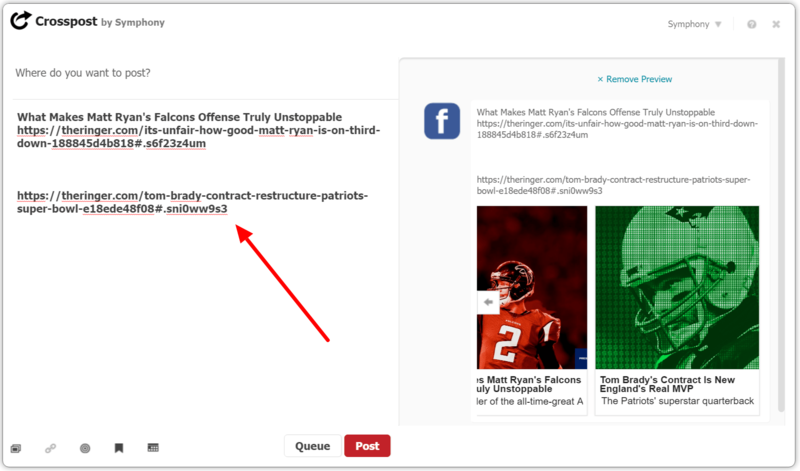 To create a Carousel of multiple images that use the same link, paste a link into the Crosspost window, then add your own image to convert the default post into a Carousel post. Click on the image icon in the bottom left side of the window. This will reveal the built-in image search feature. Here you can find public domain and Creative Commons images that you can attach to your post directly. Or if you want to use an image from your computer then just drag & drop it over the Crosspost window. Now both items in the Carousel use the same link. You are now a space optimizing, attention demanding content expert! 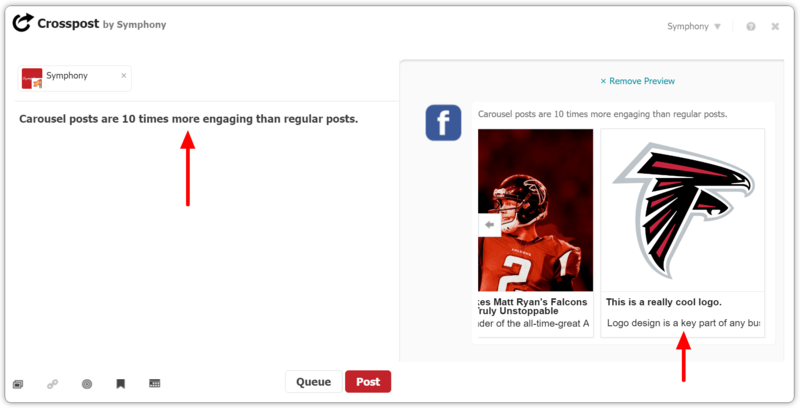 Carousels have proven to be more engaging than regular posts, and as you have seen, they allow you to show the viewer more information at a single glance. In one of the next few posts, we will be outlining the data behind the increased engagement. We will also be covering very exciting 360 degree video support, stay tuned!